Attorney Search Network can refer you to a pre-screened San Bernardino lawyer. Our San Bernardino County network of panel attorneys is one of the largest and most extensive collections of pre-screened attorneys in Southern California. Select the practice area that fits your current legal need, from Bankruptcy to Wrongful Death, and we will provide you with a San Bernardino Lawyer Referral. Get a San Bernardino Lawyer Referral, call us toll-free at (800) 215-1190 or provide your contact information in the contact form, including the appropriate legal area. 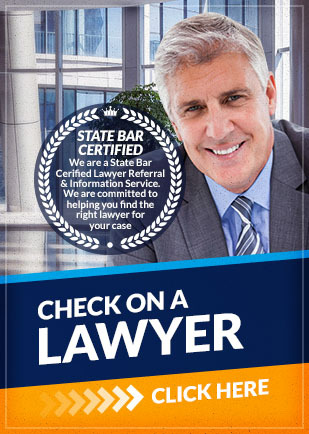 We will contact you and try to refer you a San Bernardino lawyer that represents the best possible fit for your case. Our simple Find A Lawyer referral tool makes the search easy for you. We use factors like years of experince, office location, trial expeince and California State Bar records to pre-screen the lawyers we refer. Your feedback helps us create a better lawyer referral service. We have worked hard to ensure that we refer the best possible lawyers in the San Bernardino Bay Area. As a result, we have a perfect "A+" rating with the Better Business Bureau. Attorney Search Network meets all American Bar Association Standards for Lawyer Referral Services. If you have any questions about the information provided above, please contact us. Call Attorney Search Network toll free at (800) 215-1190 or fill out our online form for a San Bernardino County lawyer referral.